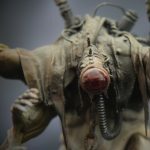 Modern Synthesist: What is Games Workshop Inner Circle? 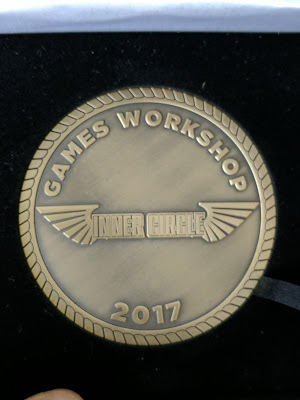 What is Games Workshop Inner Circle? On Saturday I attended the final judging session of the Games Workshop Inner Circle event, and I'm pleased to report that the Genestealer Cult of the Omega Strain walked away with a GOLD MEDAL! Receiving my medal from Brando, who might just be my favourite blackshirt. Games Workshop's US head office has been running a pilot event called Inner Circle in support of Gathering Storm. It's an army painting competition in much the same vein as Armies on Parade, which happens across the world in October. So Americans and Canadians can compete, but not anyone else at this time. I had this explained to me as a pilot program GW USA is trying out, and if it works, it might be rolled out more broadly. If you haven't had previous experience with the Armies on Parade event, scoring at that event is based on votes from the people who visit the store on Parade day. Inner Circle differs in that your army is judged by your Games Workshop store manager on a pretty extensive rubric. I'm not sure what the total possible score is, but my army won first at our store, and I scored something like 437. It is mostly based on painting ability and presentation (with things like basing, display board, conversions), but there are also points awarded for putting thought to lore/fluff for your army. And, what I liked most of all, the rubric gives you bonus points for any squads you built and painted since the event started in February. I like this because it encourages people to create new forces, not just trot out the same army they've been bringing to events for years. Inner Circle kicked off in February, and it ran until this past Saturday May 13th, which was the final judging event. 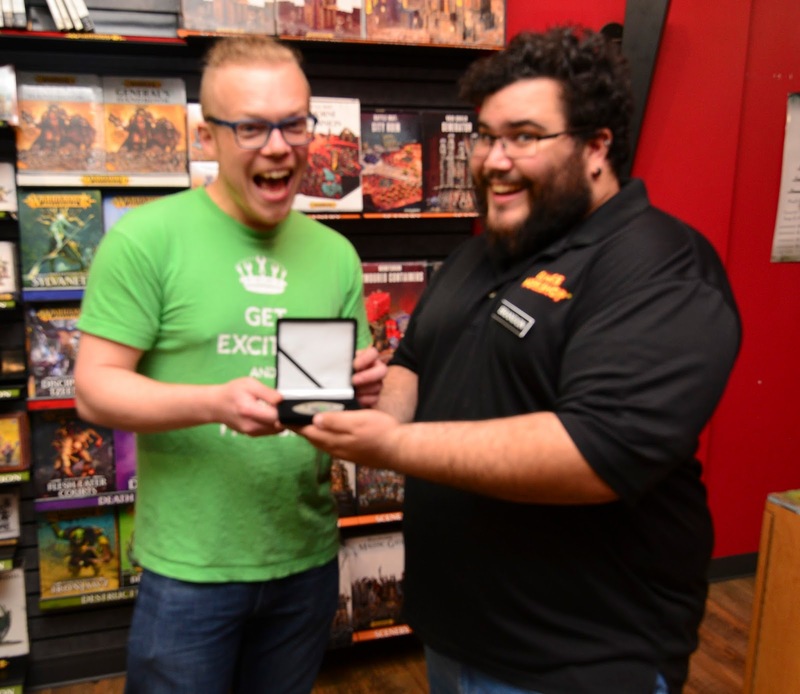 To support Inner Circle, our local Games Workshop store has hosted an event every month like conversion contests, painting contests, and gaming events. These were not only good motivators to keep your progress up, but they also fed into the scoring rubric for your army as you received points for attending one, two, or all three of the events. This is the craziest, most rewarding part for me. 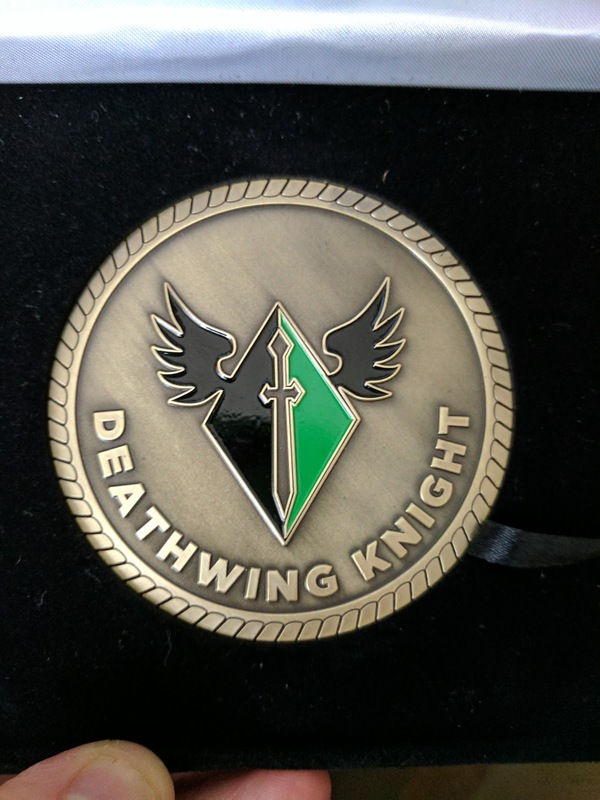 Just like Armies on Parade, participants whose armies rank first, second, and third receive medals for their achievement—and Games Workshop USA really pushed the boat out with these medals! However, these simply recognize folks at the store level. There is a further round of competition where the managers from each Games Workshop store send on photos and a write up for their first place contender to Games Workshop US Headquarters in Dallas, Texas. Games Workshop HQ then takes some time to deliberate on the armies, and they choose one from each region as the best of the best. The North American market is broken up into five regions, so this means that there will be five over all winners selected from all the armies that scored gold medals at the local level. My region is Canada, which means that, since I won gold at Games Workshop Yonge and Lawrence here in Toronto, me and my Omega Strain Genestealer cult have been put forward as their tribute, and we need to duke it out with all the other gold medalist tributes from the other stores across Canada. I've been told that means I'm up against about 15 armies, and I've already seen at least one that is making me sweat! But what's in store if you wind up as one of the top five Inner Circle armies in North America? Why, nothing else but an ALL EXPENSES PAID trip to Games Workshop US HQ in Dallas on June 3rd! The winners will be wined and dined on some delicious sounding Texas BBQ, interviewed about their armies, and then ushered in to a TOP SECRET session about the future of 40k! So, in case it wasn't clear, though I'm chuffed to bits to have won the gold medal for highest scoring army at Games Workshop Yonge and Lawrence here in Toronto, my eyes are actually set on hopefully achieving best army in Canada and landing a sweet trip to Dallas. 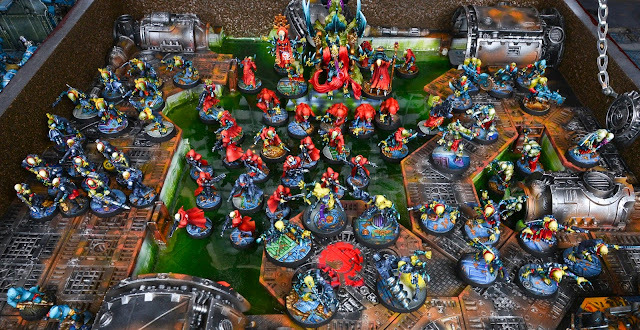 Games Workshop staff will drop their final decision on the top five winners on Wednesday May 17th, so I'll be keeping my rending claws crossed until then, and I'd love any luck you could send my way! If you're looking for still more information about this Inner Circle thing, check out the official Inner Circle Facebook page. Well played chief. I was a fan of your work and thought you did really nice work with it. Glad to have found your blog during Squaduary. Rory, man. Squaduary is a LARGE part of what got be here. It was one more thing that kept the fire lit under my backside to get my force finished in time for this event. Thank you for that! Claws crossed here! The skymother is with you! You and the skymother are eve in my heart, brood brother o mine! Awesome work! Hope you get to the final. Thanks Michael! The dudes at my local Games Workshop were saying I look like I have a good chance, but it seems like a tall order to be one of the top 5 armies in North America. Here's hoping! The Omega Strain is Top 5 in North America!